Mental illness remains poorly understood in Viet Nam, where many still choose spiritual healers to treat disorders like schizophrenia rather than seeking the counsel of trained psychologists. Hong Thuy reports. Doan Thi Diep* believes that her husband, brother-in-law and youngest son all have mental health problems because she neglected to worship one of her ancestors. "A fortune teller told me that the mental health problems in my family happened because I neglected my familial duty," Diep said. Could genetics also play a role? "No," she replied. "It's more likely that my husband's forefathers in the old days were landlords who mistreated other tenant peasants, and their offspring are the victims of retribution." Vietnamese people traditionally believe that mental problems originate from evil spirits or curses, explained psychiatrist Nguyen Van Dung, head of Bach Mai General Hospital's Substance Abuse Treatment Bureau. Mental disorders are typically interpreted as demonic possession - often as a deserved punishment for a sin or fault but sometimes for no particular reason. For this reason, most people with mental disorders seek spiritual help. Only 10-18 per cent of patients seek help from professional psychologists, according to Dung; the patients were rushed to mental hospitals only after displaying extreme behavior, such as suicide attempts or causing public disorder. Mental image: A mentally ill patient's brain scan. One of them is Diep, who seeks treatment for her 27-year-old son's schizophrenia from herbal doctors and spiritual healers rather than neurologists. "My son is normally treated by herbal medicine and worship. I have been making ceremonial offerings to our ancestors and holy spirits since I was told that there was a connection between mental illness and the worship of our ancestors," Diep said. Diep's son, Quoc Huy*, was hospitalised for the first time when he tried to stab himself in the stomach at the age of 14. "Before that, my son did not show any signs of mental illness. He was a good student," Diep said. Huy is sent to the mental hospital only when he is acutely ill. To maintain his stable mental status, his mother gives him herbal medicine and prays to ancestors and holy spirits to be forgiven every day. "The spiritual healer told me that our ancestors and holy spirits would cure my son if I continued making ceremonial offerings to them," Diep said. The Ha Noi Mental Hospital Director, Dr Ly Tran Tinh explained that people's awareness of mental health remains very limited. Due to the prevalent perception that mental disorders are caused by evil spirits, curses and heartbreak, cases are often not diagnosed for several years. A 2007 survey conducted on more than 200 Hanoian patients found that these patients were sent to hospital an average of two years after they first showed signs of mental illness. Stigma also deters many Vietnamese from sending family members to the hospital. Many families still lock patients in their rooms. 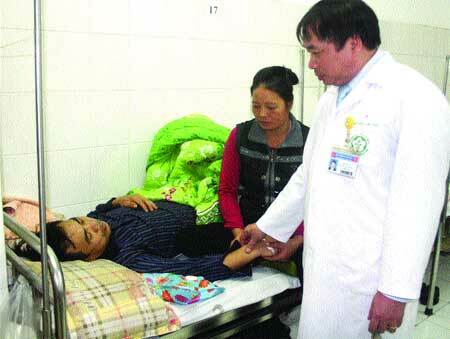 "We still have to go to patients' homes to urge their families to bring them to the hospital for treatment," Tinh said. Dr La Duc Cuong, director of Central Psychiatric Hospital 1, said many Vietnamese were of the opinion that only people with weird actions, dishevelled hair and clothes were mentally ill. In reality, most people with mental disorders appear normal, and might display less obvious symptoms such as loss of appetite, headache, insomnia and proneness to anger. When Vietnamese people experience these symptoms, they do not associate them with mental illness, so they are more likely to seek help from herbalists and physicians rather than psychological doctors, Dung said. 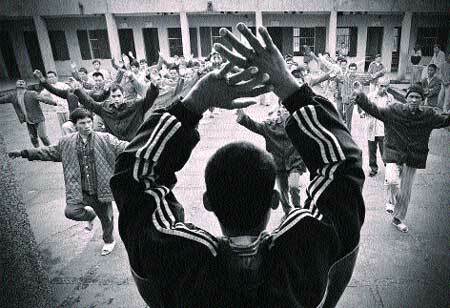 About 19 per cent of Vietnamese population suffers from the ten most common mental disorders, according to the Viet Nam Psychiatric Association, which estimates that about 15 million people need mental health services. The most prevalent disorders are alcohol abuse, drug abuse, depression and anxiety. According to Dr Dung, depression and anxiety affect between 18 per cent and 22 per cent of the Vietnamese population. Substance abuse, autism and attention deficit hyperactivity disorder (ADHD) have also become more widespread in recent years, said Dr Tinh. A recent survey conducted on over 3,000 school-aged children found that approximately 10 per cent were affected by mental illness, primarily ADHD and autism. "Sadly, many parents do not consider ADHD a mental health problem, so they don't opt for mental health treatment, even though this can help their children," said Dr Tinh. The World Health Organisation (WHO) ranks mental health problems the fourth most common and forecasts mental illness will rank second after cardiovascular diseases in the future. The organisation cited several reasons for the increase in mental illnesses, including prolonged poor living conditions, poor job prospects, work overload, political conflict and the adverse impacts of natural disasters. Though this data paints a gloomy picture, early diagnosis and proper treatment can eliminate or at least reduce the symptoms of mental illness, according to Dr Tinh. In Ha Noi alone, about 20,000 people are being treated for mental illness after being discharged from mental hospitals, Dr Tinh said. Yet they are no longer found wandering streets with disheveled hair and dirty clothes to beg for food, as was common in past decades. Such changes speak volumes about the significant contributions that neurologists have made to improving mental health services, though the lack of pay and disdainfulness toward psychiatric doctors remain major obstacles. Dr Do Van Thang at the Ha Noi Mental Hospital confided that everyone in a crowd would burst out laughing or whispering when he introduced himself as a neurologist. "They have no intention to mock me, but I feel upset," he said. 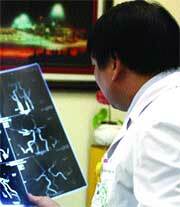 Throughout six years of study at the Ha Noi Medical University, Thang was a top ten student. He chose to specialise in neurology because he wanted to gain insight into why so many young people with mental health problems could not leave the hospital. While his query has been answered, the job is not easy, and the meager pay is hardly commensurate with the time he devotes to his patients. "I can't help my patients treat their mental illness if they do not trust me implicitly, so I have to spend a lot of time with them to gain their confidence," he said. "Unlike other specialists, neurologists are paid very poorly because we subsist on only a state salary." 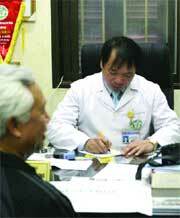 According to Dr Tinh, the average income of a newly graduated neurologist is only VND3 million (US$140) a month. For those who have been in the job for ten years like Thang, monthly incomes range from VND7 million to 10 million ($330 - 470). "Some doctors asked me to permit them to give up their jobs as neurologists because they could not live on such a low salary," he said. This has resulted in a severe personnel shortage. 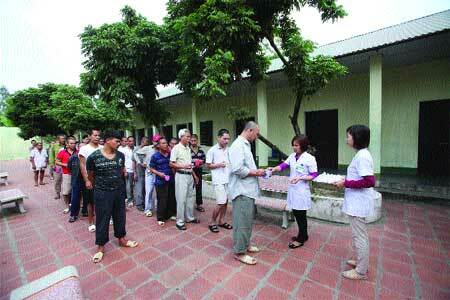 There are only 70 neurologists working in mental hospitals in Ha Noi, which means one doctor for every 100,000 people. Last year, there were 1,000 neurological doctors and nurses nationwide, an increase of about 500 compared with figures before 1992, when the Vietnamese population was 76 million. *Pseudonyms were used to protect individuals' privacy.